This colourful salad screams SUMMER, almost as loudly as the smell of freshly mowed grass, the sound of people chatting and picnicking outside, and birds chirping. 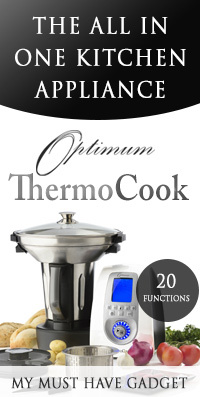 It’s visually and gastronomically pleasing, and will surely be the star of any BBQ. 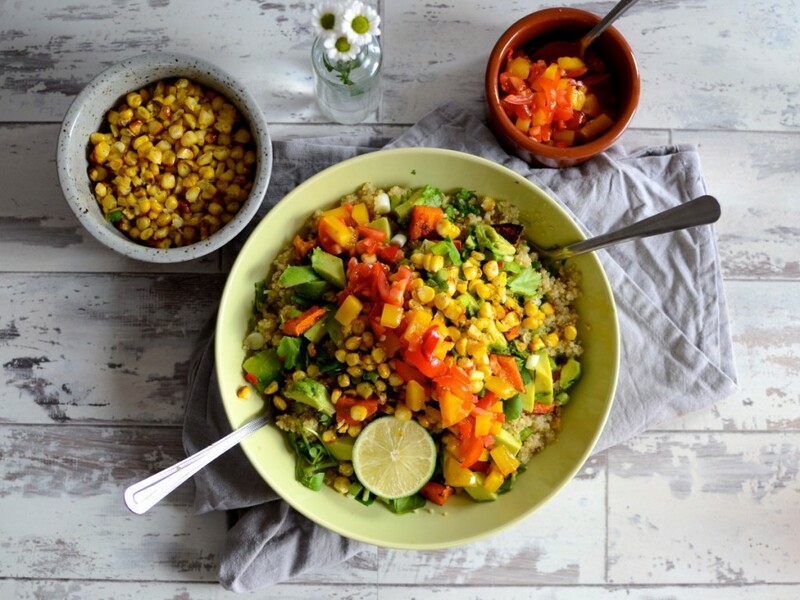 This sweet and spicy salad features garlicky quinoa, roasted butternut squash, creamy avocado, lots of fragrant coriander, charred sweet corn and a hot tomato chilli salsa. So many AMAZING flavours!! 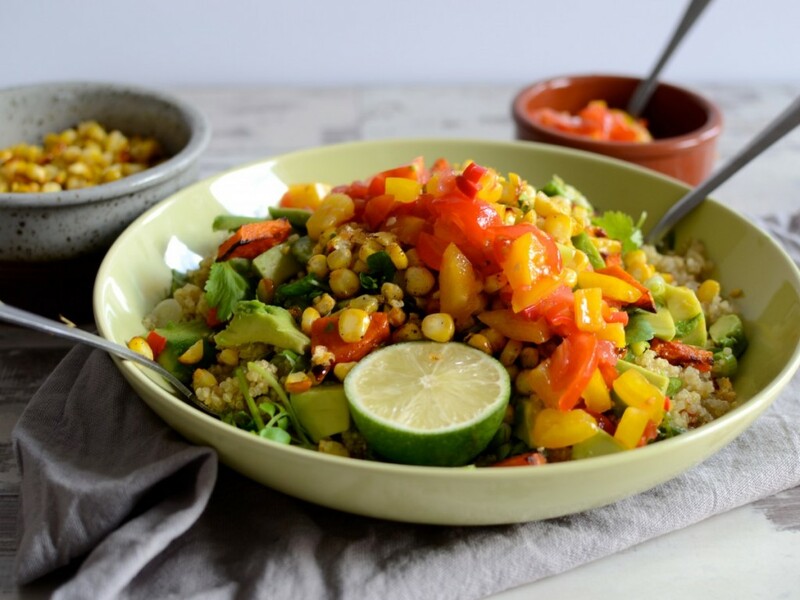 Cooking the fresh corn cobs in spices and then chargrilling them provides so much more flavour and texture than tinned sweetcorn and takes this salad to the next level of deliciousness. You could use frozen corn cobs here but why not take advantage of the fresh corn available right now. It’s all tossed in lime juice for a bright and summer infused side/main dish. There are quite a few different elements to this salad, but it’s worth putting that little bit of extra time and effort into a salad as it makes it so much more exciting! It will go from limp and lifeless to bright, bold and as exciting as any other dish on the table! Unfortunately because I was helping my boyfriend prepare this salad, I was then too tired (because of my illness) to eat much of it but I had it for lunch this next day and it was absolutely delicious! Serves 2-3 on its own or 4-5 as a side. It can also be made ahead of time and left overnight (apart from the avocado that you’ll need to add in the morning otherwise it’ll go brown). Inspired by Madeline Shaw’s mexican bbq grilled corn with chilli salad salad from Get The Glow. Add your butternut squash cubes to a baking tray with some olive oil, salt and pepper. Roast for 25 minutes or until cooked through. In the meantime cook the quinoa and corn. Cook the quinoa with the stock cube, double the amount of boiling water to quinoa, and garlic for around 15 minutes or until cooked. Set aside to cool once done. Put your corn cobs in some foil along with the melted coconut oil & spices, seal and cook in the oven for 20 minutes. Once cooked, add to a small frying pan and fry until charred evenly. Slice down the corn with a knife to remove the corn kernels. To prepare the salsa: add all of the ingredients into a bowl and toss until everything is evenly coated with the olive oil and vinegar dressing. This looks fantastic! 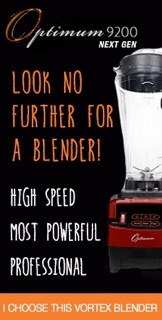 I love all the ingredients, can’t wait to try this one! Summer in a bowl, looks amazing, I will be rustling this up one day this week yum!